If you're looking for a wine which is lovable, smooth, expressive, abundant in aromas and assortment of styles, then you're undeniably looking for a wine made of Agiorgitiko. One of the noblest red varieties of Greece. Nemea, a region in the Peloponnese, is the cradle where Agiorgitiko lies - it's home. In international standards Nemea is a small PDO region with approximately 2.500 hectares under vine. It is distinguished for its adorable Agiorgitiko and the amazing diversity of its terroirs; the synthesis of different exposures, soils and altitudes, which go up to almost 900 meters. Nemea is also a region of great potential. I had the privilege of presenting an in depth analysis of Nemea and the diversity of its terroirs in a masterclass I led in late August. The presentation included the different expressions of the Agiorgitiko grape variety in the different terroirs, other factors (ie. elevation, aspect, clonal selection, viruses, climatic changes) that affect quality and expression, particular complications that may arise, producers and much more. Keep an eye out for the detailed portrayal to follow in the next few weeks. For now, I would like to focus on the variety. Agiorgitiko is a vine which is vigorous in its growth, susceptible to fungal diseases and late ripening; it is usually harvested in mid September, a period in which rainfall is a potential problem - this happened in the years 2002, 2009, 2011 and 2016. It has been claimed that a considerable percentage of the vines farmed in the Nemea region are infected by the leafroll virus, which has a negative impact on the accumulation of sugars during ripening, colour intensity and aromas. This brings us to the issues of virus free cuttings and clonal selection; both are rather recent considerations in Greece. 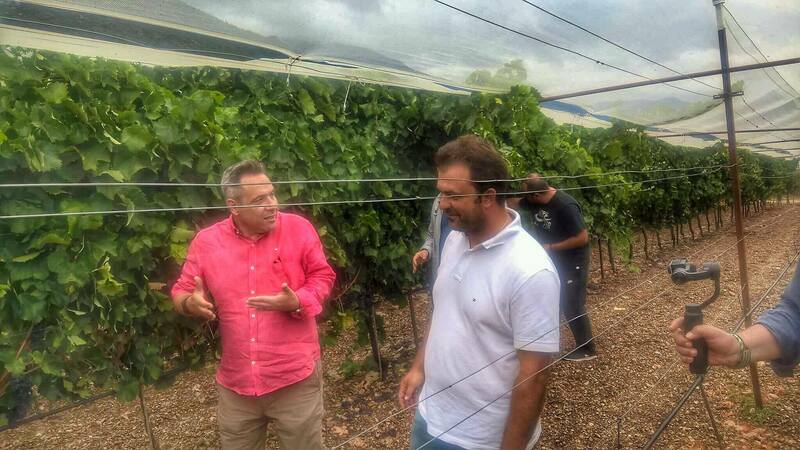 Nevertheless, there are some viticulturists, like the Bakasietas brothers, Kostas and Vassilis, who can boast many years of research in these fields. During a recent visit to Nemea for the TV show “Gefseis kai Oinos (Wine and Taste)’’ I had the rare opportunity of walking among the very first 6 clones of Agiorgitiko, which are the result of the collaborative research of the VNB nursery with ENTAV. ‘’One clone has already been released commercially and has been certified by the French Ministry of Agriculture due to bureaucratic issues in Greece; its main characteristic is that it is disease free and that it ripens earlier, so as to avoid harvesting during mid-September’’ says Kostas Bakasietas. This was the result of a long and demanding period of experimentation (breeding and testing isolated clones) that lasted 15 years before a clone was achieved, with the chosen characteristics. 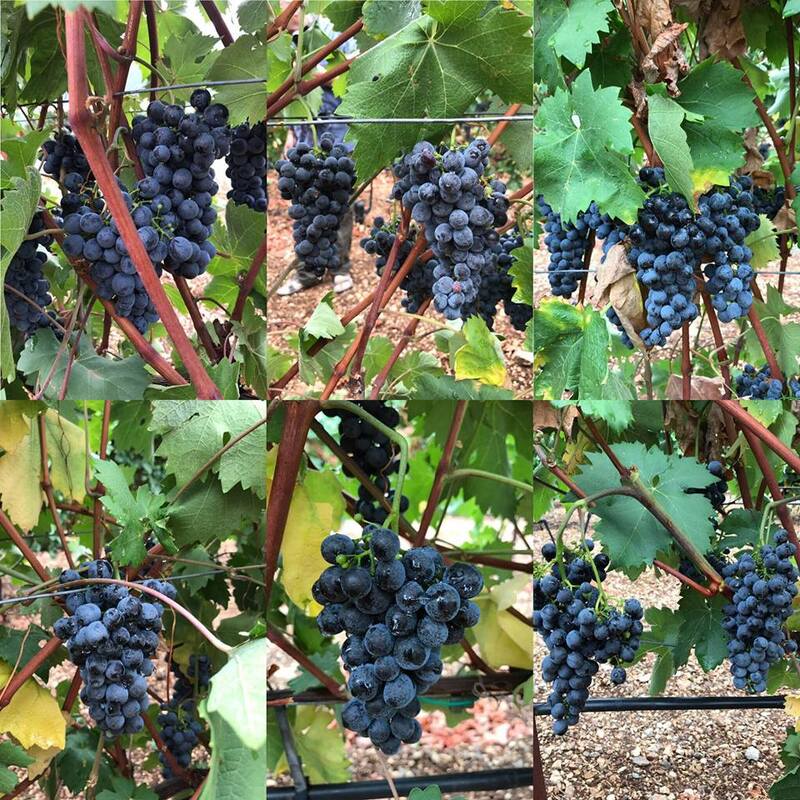 There is a good possibility that it will take, at least, another five years before all six clones are released for plantings, yet positive changes are already evident both in the appearance and the taste of the grapes. The parent material has been planted in the Alea region of Argolida at 700 m altitude. Pictures of the bunches are shown below. No.1 is on the top left and the pictures are in clockwise order. A brief description of the bunches of the six different clones is given below, together with the taste of the berries of each clone, just before harvest. #1 Lots of flesh on the berries, juicy fruit, little bitterness. #2 Smaller berries compared to #1 with higher acidity and less obvious fruit. Small bunches. #3 Similar to #1 with fresh acidity and an overall green character. Big bunches. #4 Compact bunches, fleshy and ripe. Moderate bunches in size. #5 Ripe and balanced. Moderate bunches. #6 Loose bunches, seems less vigorous and concentrated. Moderate bunches. Clonal selection is definitely a never ending story, but right now, I can't wait to see how things will evolve. I'm excited at the prospect of having fresh dimensions of Agiorgitiko and of other Greek varieties revealed. 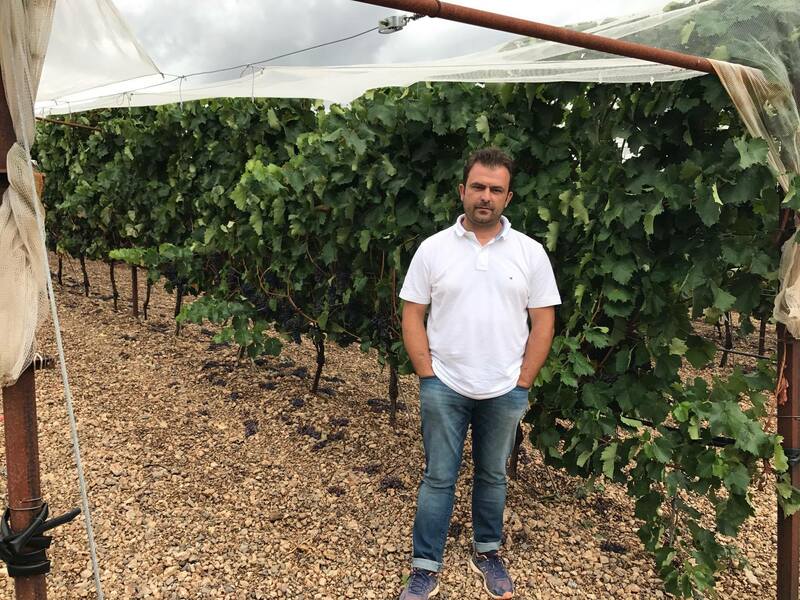 Mavrotragano: Α grape that has natural low yields of no more than 20 hl/ha something needed to be taken under consideration from the producers’ part. 13 clones available. Xynisteri: 7 clones are researched and during the next year there will be plantings. Xinomavro:11 clones plus 5 more clones researched in Northern Greece.